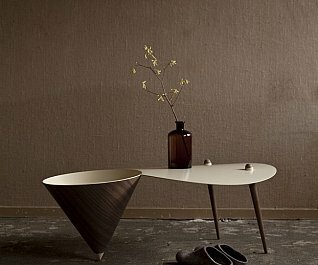 Cirkel is a collection of floor lamps, wall lights, mirrors and table furniture made by Dutch designer Daphna Laurens. This spectacular collection is all created from the basis of circular geometry. Each item speaks as a piece of art and as a piece of furniture simultaneously. Cirkel will be presented for an exhibition at the Galerie Gosserez in Paris which will start from November 24 to January 14 of next year.